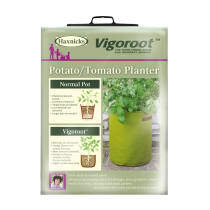 These are no ordinary pots made of no ordinary material. 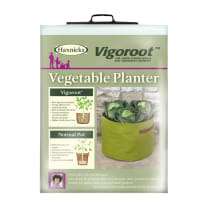 The unique Vigoroot™ fabric will help gardeners grow stronger, healthier, more productive plants. 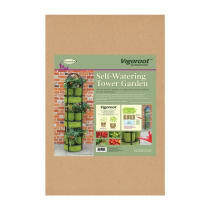 Rumour has it that Jack may have used it to start off his beanstalk! 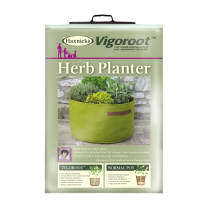 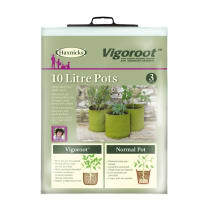 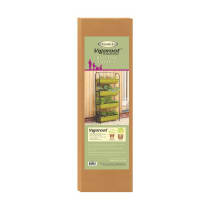 Vigoroot encourages more vigorous rooting, which enables the plants to absorb more nutrients. 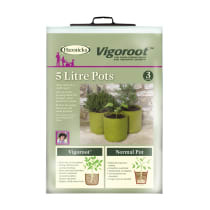 It prevents the roots from growing too long, and helps prevent plants from becoming ‘pot-bound’ which would normally limit the plants’ growth. 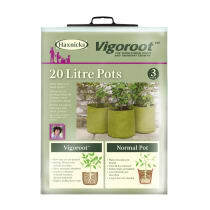 All our Vigoroot pots and planters are reusable, fold flat for easy storage and of course, being a Haxnicks product, come with a helpful growing guide. 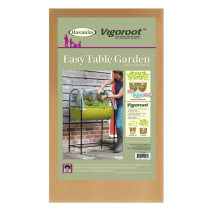 As Vigoroot fabric works wonders for all sorts of vegetables, flowers and herbs as well as fruit bushes and fruit trees we have given you lots of sizes to choose from.